Harley Davidson Deluxe prices start at Rs. 18.74 lakh (Ex-Showroom). 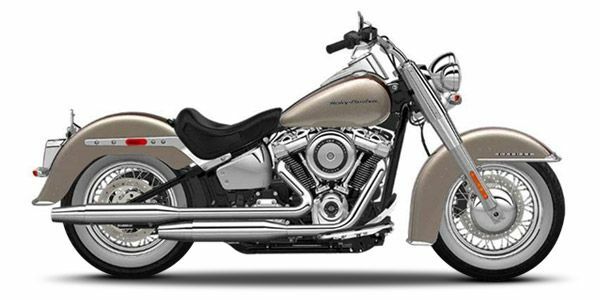 Harley Davidson Deluxe is available in 1 variants and 5 colours. Share your experiences with Deluxe? Q. Which one is better among Hero CD Deluxe, Splendor Plus and Honda CD 110? I think it's splendour plus ..
Q. Which one is better Activa 5G, Deluxe or TVS Jupiter Classic Edition? Q. Difference between Honda activa 5G, Delux and Standard? Q. How much is the maintenance cost? Is it just about the looks? Or has the Deluxe really evolved into a modern day cruiser?